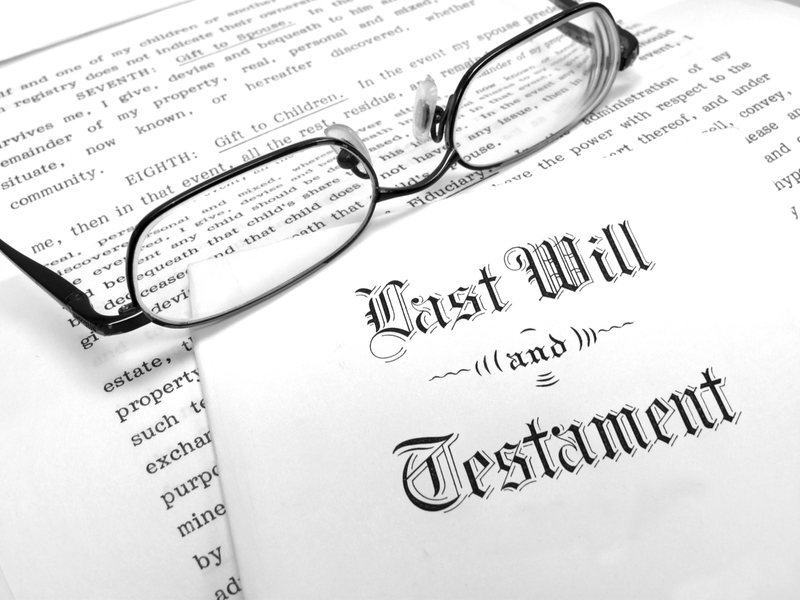 via Five Reasons Under 50’s Should Have a Will – The Society of Notaries Public of BC. Vancouver, BC – BC Notaries support the Province of B.C.’s proclamation declaring April 6 to 12, 2015 “Make a Will Week” to encourage residents who don’t have a Will to create one to ensure their final wishes are clear and carried out after their death. A survey conducted province-wide just a year ago by Mustel Group for The Society of Notaries Public of BC found that only 55% of British Columbian adults have a current and legal Will, and people under 54 are the least likely to have one. The March 2014 omnibus telephone poll of 502 adults in BC found that 20% of people in the 18-to-34 age range, 51% between 35 and 54, and 83% of individuals 55+ have a Will in place. BC Notaries shared five reasons people under 50 should create a legal Will. 1. Do you have dependant children? 2. Are you a homeowner? If you share ownership of your home with a partner or others, it’s important to understand how you own property. There are various ways shared ownership can be structured, and that structure impacts what happens to the ownership of your home if you die. Your local notary can do a title search for you and discuss the various options available to ensure your wishes are possible, and your Will is clear. 3. Are you separated, divorced or living in a common-law relationship? Creating a Will, and ensuring all your documents are up-to-date is very important for the many people whose relationship status has changed. This will ensure that your assets are divided or assigned as you currently wish them to be. 4. Do you have pets? For many British Columbians, pets are family. Many people want to ensure their pets will continue to be cared for as they as they are now, even or especially if something were to happen to them. A Will came designate those provisions. Life is stressful enough. Creating a Will gives you and your family peace of mind that those your assets will go to those you love, and your wishes will be followed. For most people creating a Will takes only one or two or three short visits with your Notary, and gives you confidence in your and your family’s future. To find a Notary near you, visit http://www.notaries.bc.ca. Critical illness insurance is a type of protection that provides you with a lump sum payment if you are diagnosed with a covered critical illness and survive a waiting period (which is usually 30 days). With the advancement of technology more people are fortunately surviving these conditions but are often unable to get back to their pre-condition potential. What’s the difference between disability and critical illness insurance? Unlike disability insurance (that pays out a percentage of income as a monthly benefit), critical illness insurance actually pays out the entire tax free lump sum immediately, giving you flexibility to use the money as best needed. That’s where the critical illness benefit comes in—you are free to spend the money as you wish—such as to help cover lost income, to pay for private nursing or out-of-country treatment, for medical equipment or even to pay off your mortgage. It can help you where you need it most so you can focus all your energy on recovering. Could A Critical Illness Really Happen To Me? As an independent insurance broker with Manion.ca, we have contracts with all the top insurance carriers allowing us to shop the market to find the right critical illness insurance product for you at the best price. Answer: Critical illness insurance is a form of health insurance that provides a lump-sum payment should you become seriously ill.
What are the types of illnesses covered by critical illness insurance? Coverage can also vary according to the degree of severity of, or conditions associated with, an illness or disease. For example, if you are diagnosed with a type of cancer that is treatable and that results in minimal “down time”, you may not be eligible to make a claim. Coverage cannot be purchased for a pre-existing condition or illness. It is important to ask your insurance representative to provide you with a complete explanation of your coverage. Answer: Almost certainly, Yes! The risk of suffering a critical illness or disability is unbelievably high. Calculate your risk here. You should also consider your personal circumstances and the added financial strain that could be brought about by dealing with a serious illness or disease. Public and private health insurance plans typically do not provide coverage for day-to-day living expenses such as travel to and from treatments, home care and child care. Answer: Generally, the younger and healthier you are, the lower the premium (cost). However, the cost varies depending on your age, medical condition, the amount of coverage, the number of illnesses covered by the policy, and the insurance company. When shopping for a critical illness plan, you should consider your income, financial obligations, dependants and health care needs. Answer:You can make a claim if a physician, licensed to practice medicine in Canada and specializing in your particular illness, diagnoses you with a critical illness or disease covered by your policy. Generally, a lump-sum benefit payment will be made to you 30 days after the claim has been approved. There are no restrictions on how you use the money. Once your claim is paid, your critical illness insurance policy ceases. What if I never make a claim? Answer: If you die for a reason not covered by the critical illness policy, the premiums you paid may be refunded to your named beneficiary. Some plans will return the premium or a portion of the premiums paid during the life of the policy if the policy matures and no claim has been paid. Is long-term care insurance the same as critical illness insurance? Answer: No. Long-term care insurance provides for personal care on a long-term basis if you need supervision or assistance with daily living activities due to a chronic illness, disabling condition or cognitive impairment. Long-term care policies generally reimburse, up to a specified limit, the expenses incurred for various types of care, such as nursing home or home health care; or they pay a pre-determined benefit amount on a daily or monthly basis. Is disability insurance the same as critical illness insurance? Answer: No. Disability insurance, also known as “income replacement” insurance, provides a monthly income replacement benefit if you become disabled and can no longer perform the normal duties of your work. Generally, the benefit is limited to a percentage of your regular income and ceases once you earn an income or you no longer meet the definition of disability in the contract. Unlike critical illness insurance which provides the full policy benefit in a lump sum payment on diagnosis of a critical illness, long-term disability policies may have a waiting period from the onset of disability. Unlike critical illness benefits, long-term disability benefits may be affected by other income you receive or by your full recovery from the illness. If you and the guy who wants to steal your television sat down to shoot the breeze, what would you ask him? The chance to pick a burglar’s brain could certainly give you some ideas for home security upgrades, but it’s not a very common opportunity. So, we created some fictional burglar monologues (based on real research). Listen up, because over two million burglaries occur each year in the United States (one every 15 seconds)! Here are a few things your neighborhood thief doesn’t want you to know. Every time I see a ladder hiding behind a shed or leaning against a house, my heart does a little jig. Do you know how easy it is to crawl through a second-story window with a ladder? Plus, you probably aren’t stressed about locking your second-story window when your front door is dead-bolted. Takeaway: Keep all of your windows and doors locked tight when you’re out of the house, and hide the ladder in your garage or in a shed when it’s not in use! 2. Your trash reads like a catalog. Where did your brand-new flat screen’s box go? That’s right – it went in the trash. So I can dig through your trash and find out exactly what’s in your house. It’s easy as pie to know which homes to hit up – especially around the holidays! Takeaway: Never leave boxes of expensive items on the curb. If possible, take them directly to a trash center. 3. Newspaper piles are a dead giveaway. Who lets newspapers pile up and their mailbox overflow? People on vacay, that’s who. A house that’s obviously empty is a house I’m going to think pretty seriously about robbing. Takeaway: Before you leave for vacation, call the post office and ask to them to hold your mail during the dates that you’re away. You’ll be able to pick it up when you’re back in town. If you enjoy cracking open a newspaper in the morning and have The Times delivered every day, call the paper and have it halted while you’re gone. 4. Untrimmed bushes and dark areas are perfect hiding spots. The more overgrown your bushes are, the more likely I’ll want to hide in them – especially if they’re near windows! No motion detectors to set off exterior lights? Even better! That way, I can case your home and you won’t notice me. Takeaway: Make sure your bushes and trees are neatly trimmed so they don’t double as hiding spots! It may also be worth installing outdoor motion activated lightnear exterior doors and windows for some added security. 5. Nothing beats an alarm system with a view. Whether it’s through a window or from a reflection, I really love being able to see your alarm system. That way, I can tell if it’s armed and know exactly what I’m getting myself into. You’d be surprised how many mirrors have helped me out! Takeaway: If your alarm system is visible through a window, make sure you use blinds or shades to cover it up when you leave or go to sleep. If it’s noticeable in a mirror’s reflection, move that mirror! 6. Burglars use Facebook, too. When you brag about your awesome trip to Cancun on Facebook, I may not like your status, but I definitely like the fact that I know your house is empty! Takeaway: It’s tempting to post images of your amazing trip in real time, or update your status about how much fun you’re having in a foreign country, but it’s safer to wait until after you’ve returned home. 7. Dark houses attract bad people. If a house’s lights are off for several days in a row, it’s a dead giveaway that people aren’t home. I like to give it a few days just in case, but if no lights come on, I get ready to roll! Takeaway: To make your house seem lived in, install a timer in some rooms that will turn lights on and off during different times of the day. Burglars know that it’s common to leave lights on, so they will be more cautious if they see changing lights. If you need to buy a timer, we like this 7-day random vacation timer by GE (it’s less than $20). Everyday on the news we are reminded that the Canadian health care system is in a state of crisis. Those who have family or friends on long-term care waiting lists or in a facility already,know that the situation is becoming desperate. The shortage of long-term care beds is so severe hospital beds, already in short supply, are occupied by those awaiting transfers to long term care facilities. Often that wait can last years. Even 20 years ago when my great grandfather waited for placement in suitable facility given he had Alzheimer’s, the wait was over a year. That was 30 years ago, today the situation is far far worst! By 2020, there will be as many seniors as children! Currently we are spending $4.1 billion each year on Alzheimer’s and dementia. In 20 years, the number of seniors afflicted with some form of dementia will more than double, to 750,000. With an ageing population comes the increasing costs. Our medical system is already unable to deal with this. Even in general, the system is overburdened. Have you had wait in an Emergency Room lately? How about wait for an appointment with a specialist? Or how about the dreaded surgical wait list? Do to the increased demand and pressures there has been a shift towards “less costly” community-based care and a dramatically increase in the demand for home care. At the same time the average number of home care hours you might have received a few years ago has dropped from over 20 hours per week to just 2-4 hours per week! Again, those of us who have elderly parents and friends might be forgiven for feeling somewhat cynical about the current debate surrounding two-tier medical services. When it comes to long- term care for our loved ones, it is readily apparent that a two-tier system is already well entrenched. In short, the services are available, if you can write the cheque. So…what are the chances that you will need long term care? It’s true, we are living longer – in fact, in 1996, life expectancy at age 65 was 18.4 years, 5 more than in 1941. But the other side of the coin is that of those 18 years, on average, 9 are relatively healthy, and the other years include 3 years each of slight, moderate, and severe disability. In fact, it is estimated that at least 40% of all people over 65 will need some form of long-term health care services. Private facilities range from $2500 to $7000+ per month! And don’t forget, this is the cost per person, not per couple. There is an option to help protect your choices and your finances. Long-term care insurance covers virtually all of the expenses of long-term care, either in your own home or in a facility, for periods ranging from a few years to lifetime coverage. Those of us involved in financial planning, long-term care insurance may be the most important financial tools available to Canadians. Long term care insurance may be the only option to protection us from the loss of our lifestyle, our independence, and our control over our health and finances. How do you determine the amount long term care insurance you need, given the future is so unpredictable? Simply buy as much as you can afford. The demand for and costs of are going to increase and increase a lot! Want to know more about getting a RRSP in Maple Ridge, Pitt Meadows or Mission? Want to save up for your retirement, for your education, or save for your first house? A Registered Retirement Savings Plan or the RRSP in Maple Ridge provides you with a flexible way to save while still having the potential for great returns and the added benefit of having tax-free growth. Contact me or my office Manion & Associates Financial Services to learn more. The RRSP in Maple Ridge. Peace of mind for You. If you are a Canadian resident age 18 and up, you can contribute up to 18% of your income to a RRSP in Maple Ridge. Any unused contribution room can be carried forward, but there are penalties for over-contributing to a RRSP in Maple Ridge. A RRSP in Maple Ridge is a powerful savings tool that will benefit adults of all ages, as well as both high and low wage earners. When helping you with your RRSPs in Maple Ridge, as with all your financial planning in Maple Ridge needs will be individualized to meet your investment goals. With a Registered Retirement Savings Plan in Maple Ridge you pay no tax on investment growth, the RRSP in Maple Ridge is one of the best ways to save throughout your entire lifetime for retirement savings in Maple Ridge. Get the assistance you need, talk to me or one of my partners at Manion & Associates Financial Services. 3.) A wide section of insurance, deposit, and investments options to choose from. Manion & Associates Financial Services has been an award winning leading provider of financial services in Maple Ridge since 1995. Count on us for Service, Integrity, and Knowledge about the RRSP in Maple Ridge and more. Most people don’t know how they can use annuities and insurance to boost their charitable giving. Insurance may be pricey at the front end, but it hedges against a person’s longevity and inflation by obtaining a policy for a larger sum than you would be able to amass in cash. via Gift Insurance to Charity | Canadian Capital. Insurance you shouldn’t buy | MoneySense. Having insurance falls under Gail Rule #4: Mitigate Your Risks. But “the right kind” of insurance is often confusing for folks. So here are three types of insurance you should skip and save your money. If you have a mortgage you’ve no doubt been offered mortgage life insurance by your lender. Don’t buy it. It’s expensive. It’s single-purpose. And it can be denied down the road, since it isn’t “approved” until you try to make a claim, which is not when you want to find out you aren’t covered. Read more at moneysense.ca Insurance you shouldn’t buy | MoneySense.